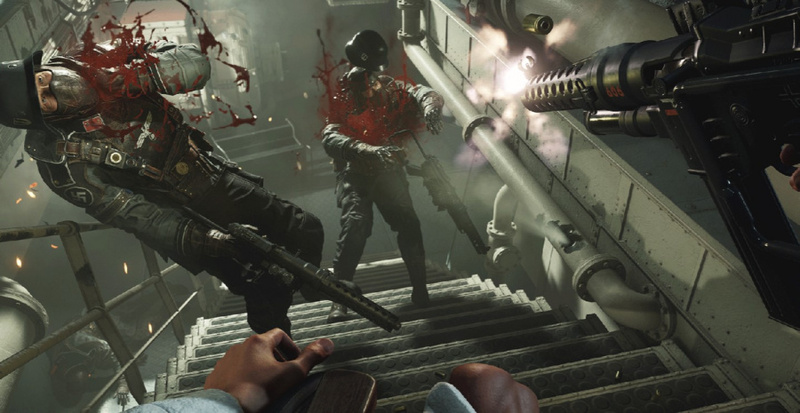 Wolfenstein II: The New Colossus on Nintendo Switch is shaping up nicely - check out our recent hands-on preview at PAX East for confirmation of that - but we're still waiting on a firm release date and more details regarding post-release content. One fan took to Twitter to ask Bethesda what its plans were for releasing the game's DLC on Switch, with the publisher's Spanish wing confirming it had, "nothing to share at the moment." It did, however, confirm that it and developer Panic Button are hard at work, “focusing on polishing the base game and optimizing it,” so it's as slick and full fat as the lovely DOOM port we were treated to last November. That FPS port has set a high bar for Switch versions of popular franchises, so we've high hopes for this alt-history shooter when it (hopefully) arrives in 2018. I hope Bethesda is busy with porting their other amazing games as well! Also can't wait for Wolfenstein and I hope we get The Old Blood and The New Order soon after that! Too much violence in these games. Bethesda should remastered their Home Alone NES game to offset all these bloodshed. @Nincompoop Well there are other companies that offer games that have less or do not have violence at all. No rush with the DLC, better have that as seperate download later on, so they can fit the original adventure on one game card. Needs the dlc for me to buy it. At 60 bucks, it's pretty steep for an older game. This game is looking incredible for the Switch. I am so impressed at the videos I have seen! Bravo to Panic Button! I see them getting a lot more business in the near future. Already played it on PC (good game) but hopefully they do a good job and does well on Switch also. Maybe they can include 1 of the dlc episodes as a bonus. Looking forward to killing some nazi's, really excited for this one. So glad that Switch is getting some mature (for want of a better word) games. As long as i doesn't release with lots of framerate issues, slowdowns and the infamous audio bugs (like the first doom version) i'll be okay with that. Take your time BETHESDA/MACHINEGAMES/PANIC BUTTON and make sure it runs slightly better than doom. I wish other 3rd party like UbiSoft would bring over some more AAA games like Assassin's Creed, Square Enix bring over both Tomb Raider Definitive Edition and Rise of the Tomb Raider, WB Games Batman Return to Arkham City and Batman Arkham Knight, ETC. Then I would actually be on board with purchasing some 3rd party games on the Switch, but as of right now my switch is just a Nintendo Only Console unlike my Wii U were I was actually picking up 3rd party AAA, indie, and Nintendo exclusives. @mowerdude Tomb Raider would be nice but square is so focussed on graphics that i doubt we'll see it on the switch. It's the same thing that's happening with EA, ACTIVISION and Rockstar. They don't want to downgrade their games, so they don't release a switch version of let's say, GTA V, Call Of Duty WWII, Battlefront or even Anthem. I think these studios will only port last gen games. It would be nice if cash-rich Nintendo decided to buy Panic Button and also ZeniMax (owner of Bethesda & iD amongst others)...imagine what Panic Button could do with F-Zero license or future Metroid games??? A definite pre-order for me. I love this game. @LOZ_Master95 to be fair, GTAV is a last gen game, so it's certainly not out of the question. @johnnythexxxiv Maybe but what if rockstar absolutely want to use the current assets (from ps4 or xbox one) instead of the 360 assets (and upgrade the textures). the result wouldn't be great. Pretty sure a switch version would have lots of framerate issues if the ps4/xb1 assets would be used. I don't mind if the DLC takes a while as long as the core game turns out awesome! Which I think it will. When did DOOM come out? November 2017? 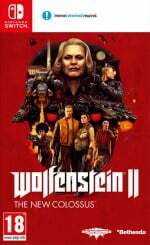 Maybe Wolfenstein II will come out in the same month this year. November 2018 perhaps? Sure wish tgere was a Fallout 4 port. I love that game and to be able to play it on the go? Sheesh, that'd be noice! For switch, these ports are probably worse than the old wii u ports. at least the wii u ports are games no one with a switch has ever played. Everyone has had their fill of DOOM and Wolfenstein and the sales will reflect this. Still, I applaud the effort as opposed to no effort. Can't wait to get back to slaying more nazi's, but this time on the go, and even on the tv as well. Bethesda and Panic Button deserve the support for the excellent work they do. @Nincompoop There is plenty of non-violent games on the Switch to play! I would love a port of fallout 3 or New Vegas, the hell with fallout 4.